A resolutely masculine fragrance born from the sea, the sun, the earth, and the breeze of a Mediterranean island. 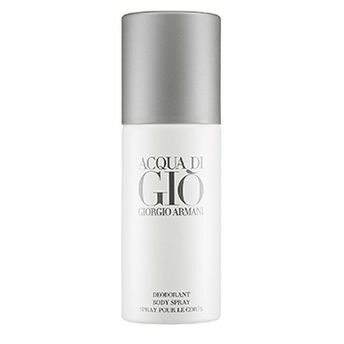 This deodorant is scented with Aqua Di Gio Pour Homme and is a contemporary expression of masculinity, in an aura of marine notes, fruits, herbs, and woods. Explore the entire range of Deodorants/Roll-ons available on Nykaa. Shop more Giorgio Armani products here.You can browse through the complete world of Giorgio Armani Deodorants/Roll-ons .